Like to see or hear the band? 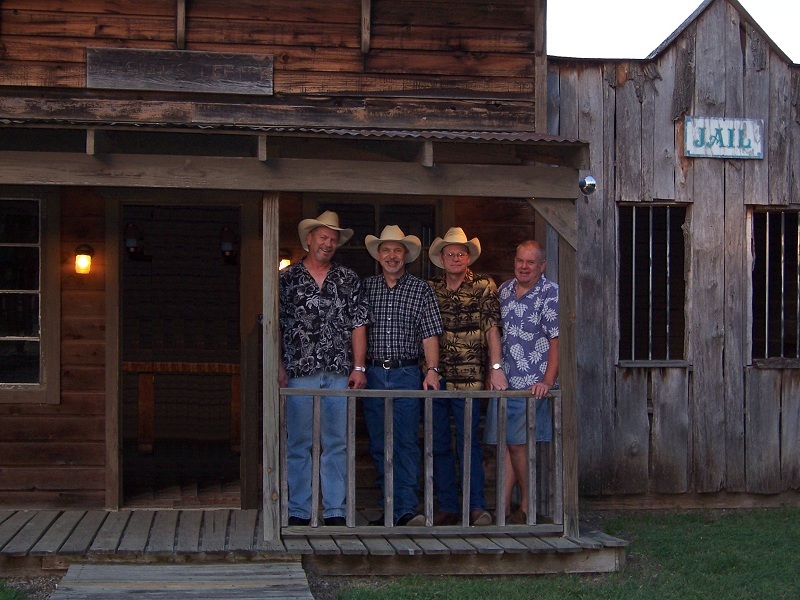 Sweatin' Bullets formed by lead singer Mike Stevens is a band that plays	some of the best traditional country music that you would ever hope to	hear. Mike's voice has been compared to the likes of Alan Jackson, George Strait and Merle Haggard just to name a few. Sweatin' Bullets	is rounded out with David Rodriguez on Bass Guitar, Lee Sellers on Lead	Guitar and Steve Pogue on Drums. Mike, David, Steve and Lee have been playing music together since 1994. Sweatin' Bullets has been nominated for best traditional country music band in the Terry Music Awards Show which annually features top bands from all around the Dallas/Ft. Worth area. Each member in the band averages close to 30 yrs experience playing music. Sweatin' Bullets	song list is loaded with country classics, favorites and a mixture of rock and roll songs that always has the dance floor packed. Come on out to one of their shows and we're sure you'll agree that this band plays some of the best killer country songs that you have heard in a long while.